Cheap wedding cake stands are essential when you are planning your wedding on a budget but they have an important starring role! Just think, one of your main Wedding Photographs will be the cutting of the cake and you will want it to look as good as possible. 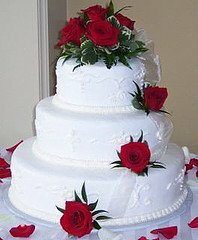 If you have ordered your wedding cake or cupcakes from a bakers check to see how much it would cost to hire one from them. The ideal would be to get them to include the cake stand for free to gain your business, so get your negotiating hat on and start haggling! 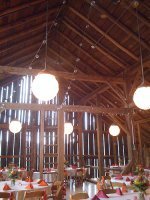 Another option is to check with your wedding venue, do they have cake stands? It was always the norm that a large venue would have a round and a square cake stand for weddings, these are perfect for a stacked wedding cake or one with pillars. We borrowed ours from the hotel I was working at! You don't always have to have a cake stand, if your wedding cake doesn't have tiers then you could have the cake on the thickest cake board you can find. To display the cake you will need a strong box or tin that is the same size as the cake. Place the box on a table that already has a table cloth on, next place another table cloth over the box and let it drape over the original cloth. When you are happy with the effect place the cake on the top. 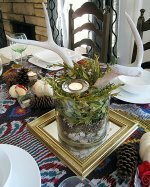 Decorate the table with flowers and it will look great. I have often used the bride's bouquet on the cake table to add to the decoration, it looks great in the photographs too! Cupcake wedding cake stands are difficult to replicate as they are designed solely to show off the cupcakes. 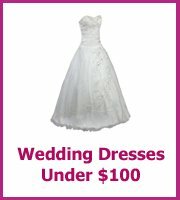 The cheapest place that I have found them is Amazon, and it is also a good idea to keep your eye on the sales. If your wedding is fairly small you could use the old fashioned cake stands that are great for a lovely afternoon tea. You could have one cake stand for each table. Ask your older relatives if they have one that you could borrow and also have a look in thrift stores as you could pick up a great cheap wedding cake stand! 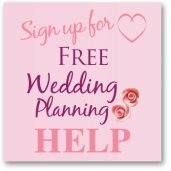 It used to be that you could find the cheapest wedding cake stands on Ebay but that is no longer true, today one of the best places to have a look is Amazon and they have quite a choice.